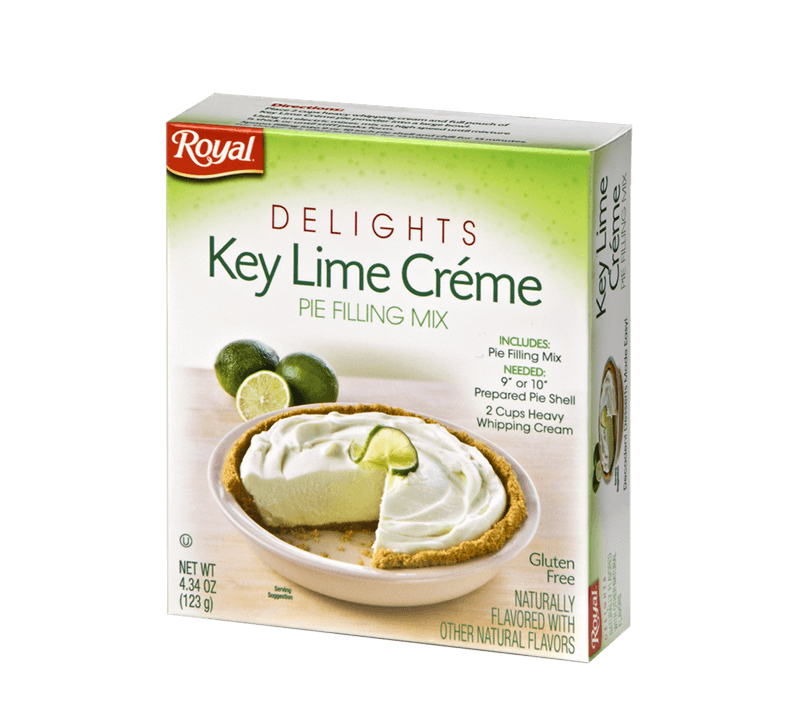 Whip your next pie creation into a flavor-filled frenzy with some seriously mouth-watering Royal Delights Pie Filling in blissful Key Lime Crème flavor. A perfect swirl of tangy and sweet, this is one pie you’ll want more than just a taste of. Make sure you grab a slice or two before the whole thing disappears! SUGAR, DEXTROSE, LIME JUICE POWDER, NATURAL FLAVOR, FOOD STARCH MODIFIED, CONTAINS 2% OR LESS OR THE FOLLOWING: SALT, CITRIC ACID, MALIC ACID, COTTONSEED OIL, MONO- and DIGLYCERIDES, YELLOW 5, BLUE 1, CALCIUM SILICATE, TBHQ ADDED TO PRESERVE FRESHNESS.